I spent the better part of the late evening/early morning yesterday (today?) 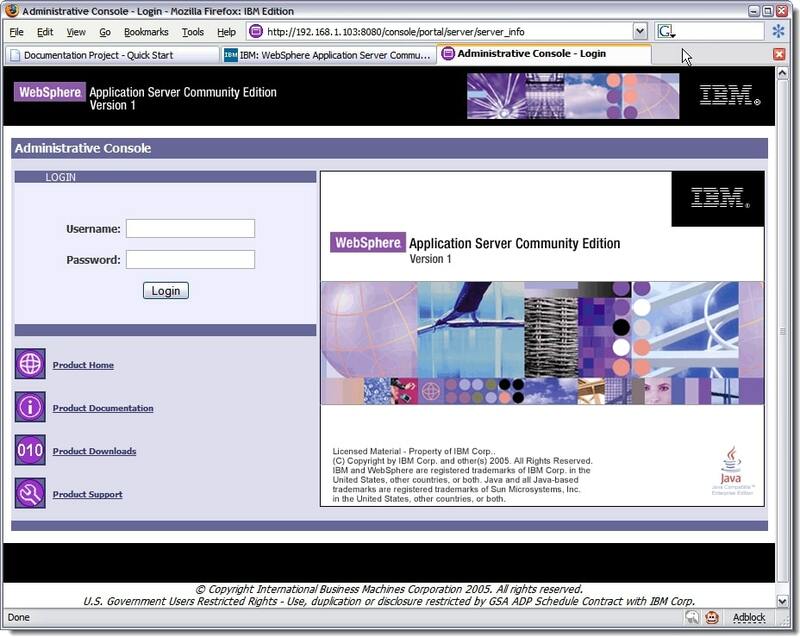 getting acquainted with WebSphere Application Server Community Edition v1.0. I had tried to play with Gluecode in the past, as we were going through the acquisition, and the installation was far from easy. This time, things are much smoother, even for a relative newbie to Linux like me. 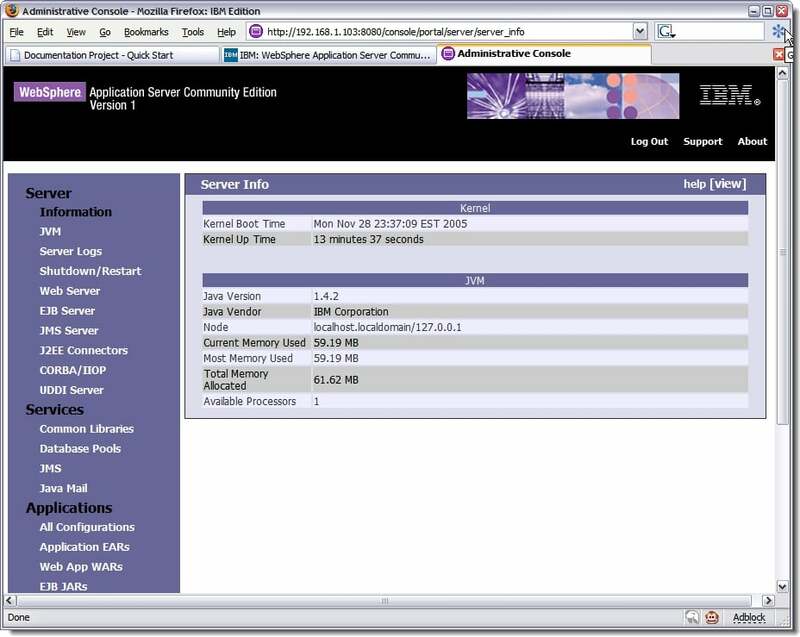 WAS CE launches in a terminal window, and takes about 30 seconds to load all its modules, It will then tell you that everything is OK.
Next up is for me to zip up this VMware image, and distribute to the internal IBM technical community, so they can get a fast start at developing applications on this, and basically improving their skills on our new offering.